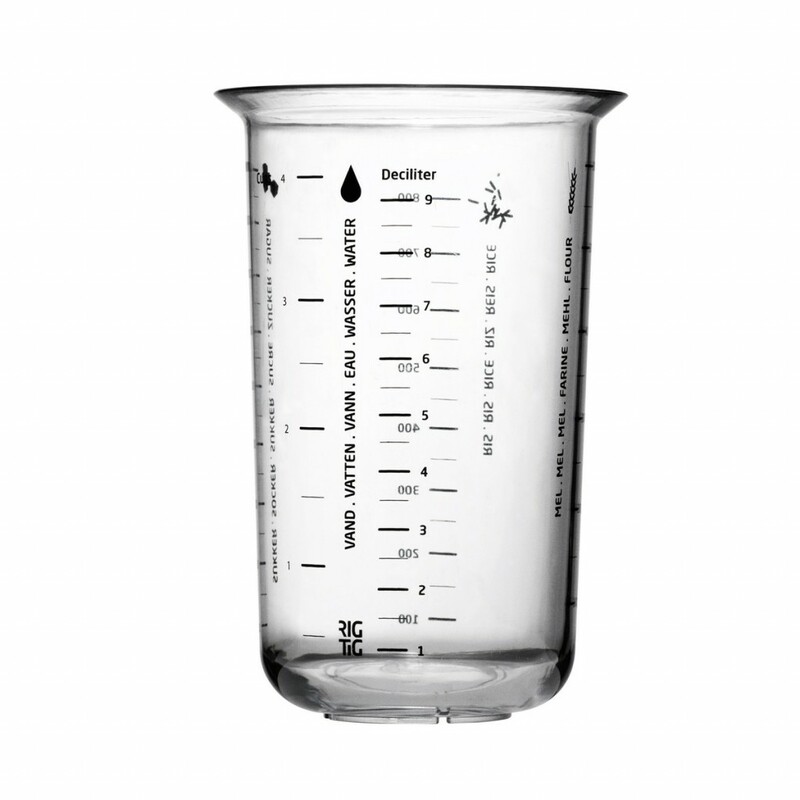 See through measuring cup of one litre, free from BPA and phthalates. Graded measures in the metric and American system. Easy to poor from without spilling or dripping due to the distinct angled edge.